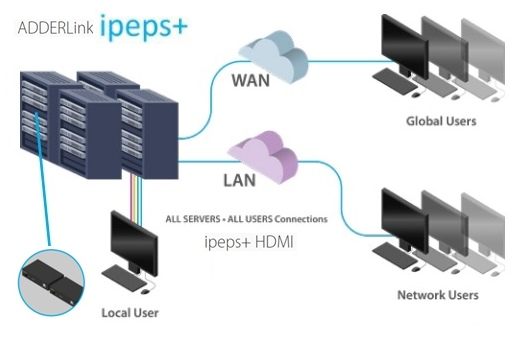 "NEW ADDER: An exciting evolution to the highly successful iPEPS Range"
computer access from anywhere in the world, securely and remotely via the Internet or a corporate network. 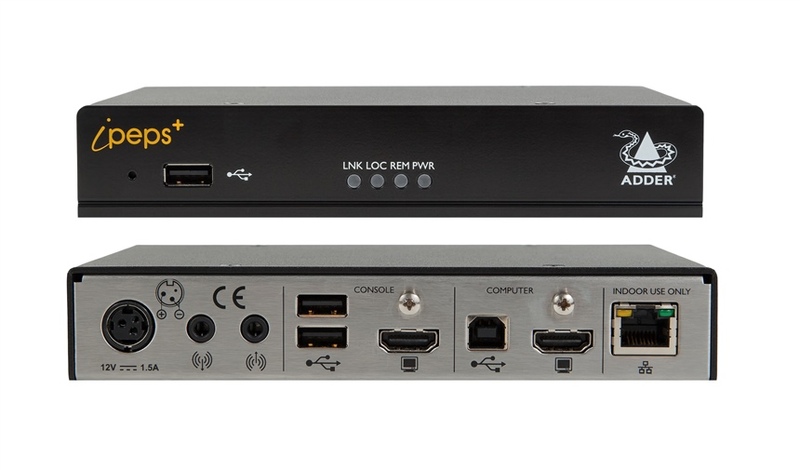 specifically designed for secure, high performance KVM over IP applications. Despite its small size, it offers high performance, including 1920x1200 video streaming at up to 30 frames per second, with non-blocking access for one local user and up to 8 remote users. The New addition to the ADDERLink® ipeps range, the ipeps+ enables you to remotely access and control your critical computing hardware using your standard IP network. Using RealVNC client software, computers outside the network can be remotely and securely accessed. - EDID management: intelligent EDID management allows the user to specify the video modes generated by the controlled device. - Local console: KVM connections are available for local user access. This may be useful during emergency and system maintenance activities. - At the PC user experience: digital techniques preserve the quality of the user experience, such that keyboard and mouse operate with the same responsiveness as working directly at the host computer, and the quality of the video is indistinguishable with minimal latency. 169mm/6.65” (w), 31mm/1.22” (h), 120mm/4.8” (d), 0.6kg/1.3lbs. VSCD11: HDMI to DVI-D convertor cable. 2m/6.5ft. VSCD12: Lockable HDMI cable. 1.5m/5ft.